Becoming Darth Maul was never easier! 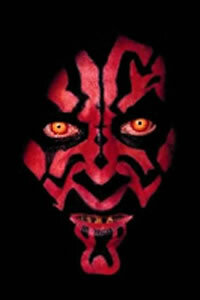 You could always paint your face and darken your teeth but now you can also change your eyes to resemble Darth Maul's. And you can do it without any costs - these lenses are manufactured using triple-layer technology which makes them incredibly comfortable, you will forget about them in no time and enjoy your costume party.